Zippy Ninja Breakfast Shake – Life of the Party Always! No time for breakfast but need to eat! That’s me! And my husband knows it. He is so cute about making sure I get something to eat before I launch myself into the crazy orbit that is my day. 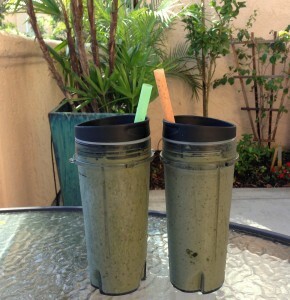 He makes great breakfasts on the weekends and for the weekdays it’s some version of his healthy shakes. A big part of the health in this drink is the joy and the laughter that ensues when I watch him in action. My Ninja chef! 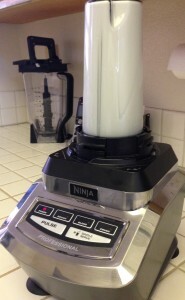 Now I need to tell you David is crazy about this Ninja Single Serve Drink Cup and I really like the blender part of the whole Ninja Ultra Kitchen System. 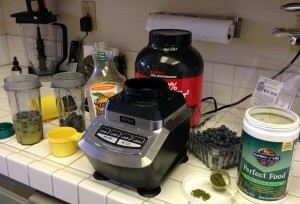 Every time he makes a shake he enthusiastically goes into his spiel about why he loves this product. Snap, click, blend, grab and go! That’s why he loves it! David’s version of Mise en Place! He does listen when I am talking about this kind of stuff and he does crack me up! This is one of my favorite recipes! The Recipe! When I asked for the recipe this is what I got scratched onto the nearest scrap of paper. 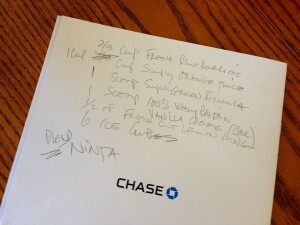 David’s version of recipe….”back of the napkin”! 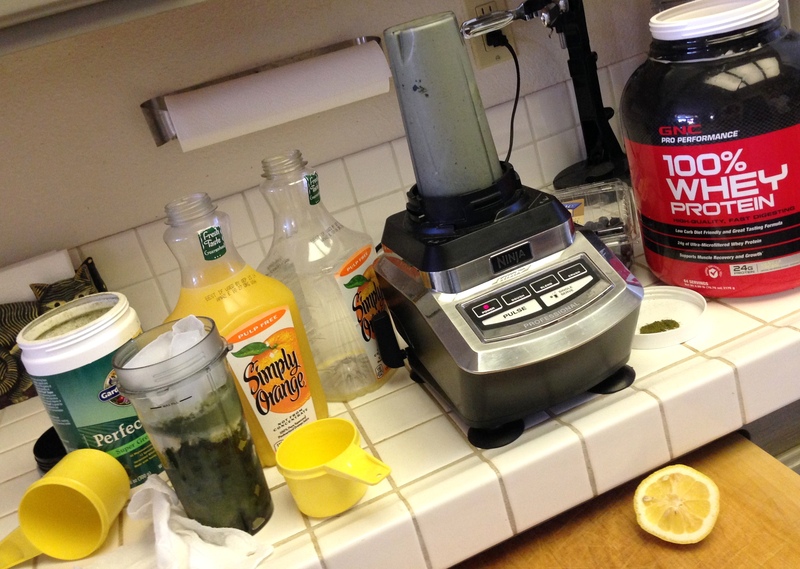 Shake Prep! 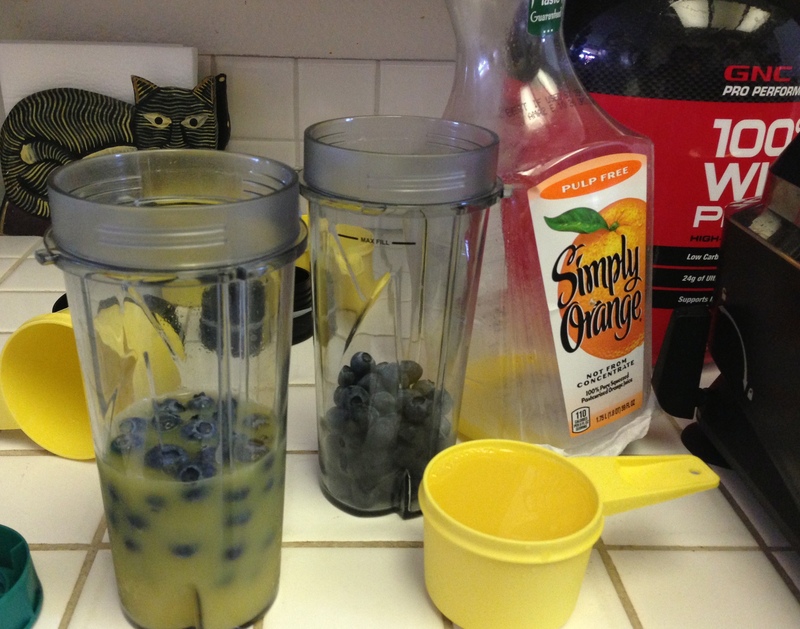 Juice and berries….liquids 1st! David wanted me to let you know for the lemon, it’ a good size wedge and you must leave the peel on. Oh, and don’t forget to take out the lemon pips! Got that? 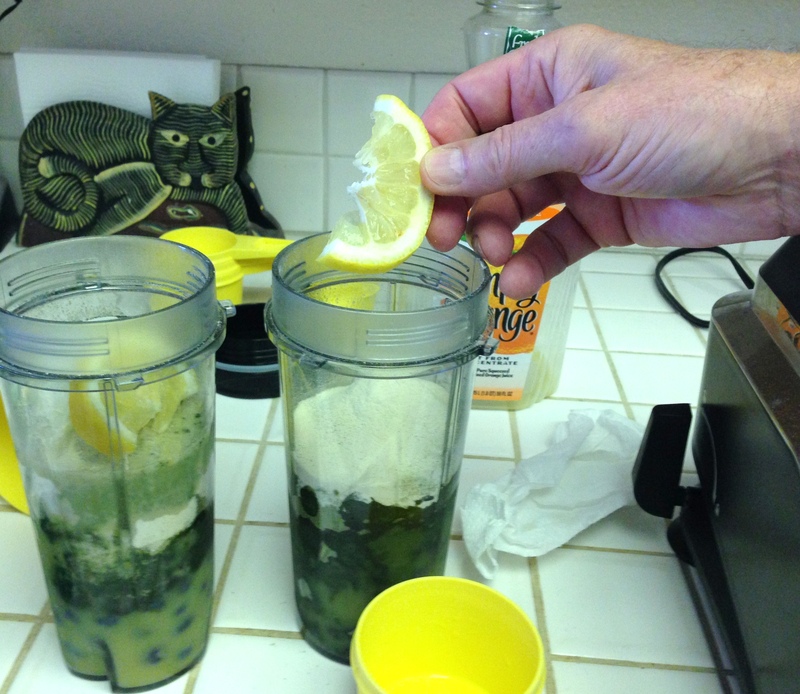 Throw it all into the Ninja Single Serve Drink Cup and blend it up. Don’t you love the organization!? Add a festive straw and breakfast is ready! 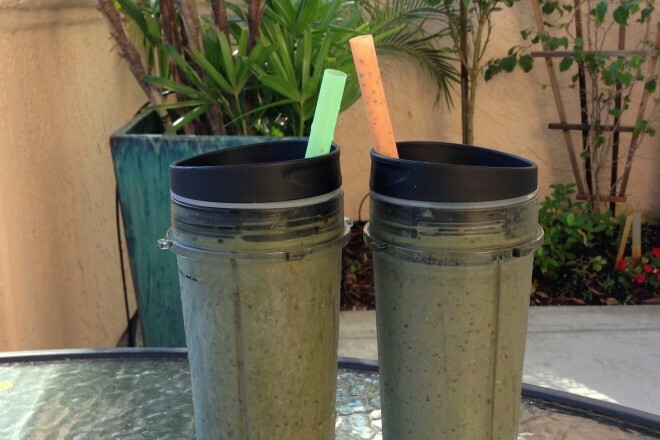 Only 5 minutes to a healthy 16 ounce shake. 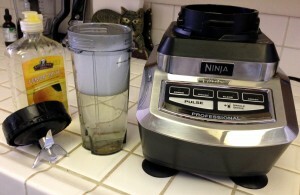 David’s “Patented” Ninja Single Serve Drink Cup Cleaning System! Just a small squeeze of soap and a healthy dose of water in the Ninja Cup, plop it back on the blender base and whirl away. It’s the “Patented” Whirling, Cleaning Motion that does the trick! All the pesky little remains are loosened from all the nooks and crannies! There you have it! “Because Life is Supposed to Be Fun” right out of the shoot each morning! Click on the link if you want more info on the Ninja Ultimate Kitchen System. Throw it all into the Ninja Single Serve Drink Cup and blend it up. Add a festive straw and breakfast is ready! Only 5 minutes to a healthy 16 ounce shake.